The Palace of Westminster, viewed from the Thames. 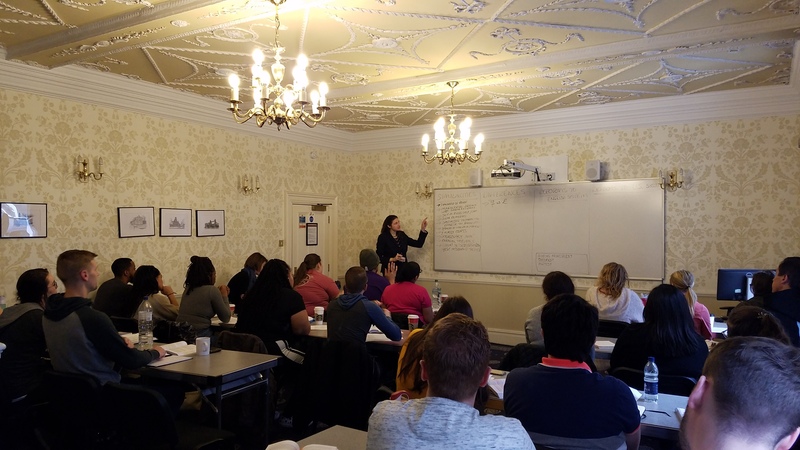 The London Law Program comprises 10 days of coursework and tours of important British law locations such as Parliament and the United Kingdom Supreme Court. Photo by AYLA87, courtesy of RGBStock. Parliament. The United Kingdom Supreme Court. The Inns of Court. As well as visiting places of historical (and Harry Potter) significance, the students attend lessons about British law. Photo courtesy of Mary Grace Warren. University of Iowa College of Law Professor Stella Elias introduces Penelope Gorman, judicial assistant to Lady Hale, president of the United Kingdom Supreme Court, in the Supreme Court of the United Kingdom in London. Photo courtesy of Mary Grace Warren.